Hi everyone! 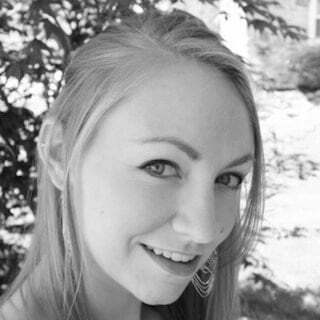 Sam here again from Sugar Spun Run! Today I have another cookie recipe for you, this one a holiday cookie recipe! Now, I have a feeling that you’re already familiar with the classic Christmas cookie lineup. I imagine you’re no stranger to sweet frosted Sugar Cookies or cinnamon sugar coated Snickerdoodles, but I’m wondering if you’ve ever had your holiday cookie tray graced by the likes of a GRINCH COOKIE. These cookies are definitely a little… different looking from the classics. 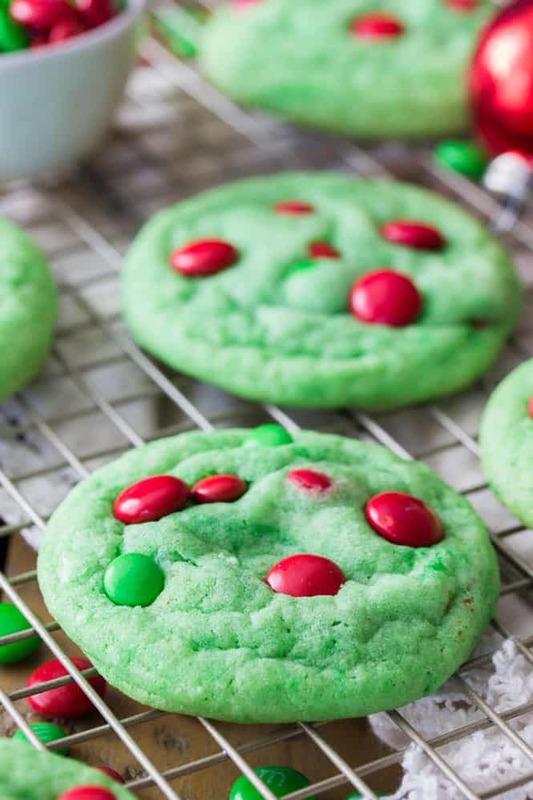 With their Grinch-y green hue and their red and green candy decorations, you’re not going to confuse them with your run-of-the-mill cookies, and you’re definitely not going to forget them. These cookies are soft and chewy, and with the chocolate M&M pieces throughout they’ll actually probably most remind you of a classic chocolate chip cookie — just without the classic chocolate chip coloring ? The Grinch-esque coloring comes comes from the addition of a few drops of food coloring. I like to use Americolor gel food coloring — a little bit goes a long way. Make sure to stir it in with your liquid ingredients (before adding your flour) and stir until it’s evenly combined — this will keep your cookies from having a streaky coloring. 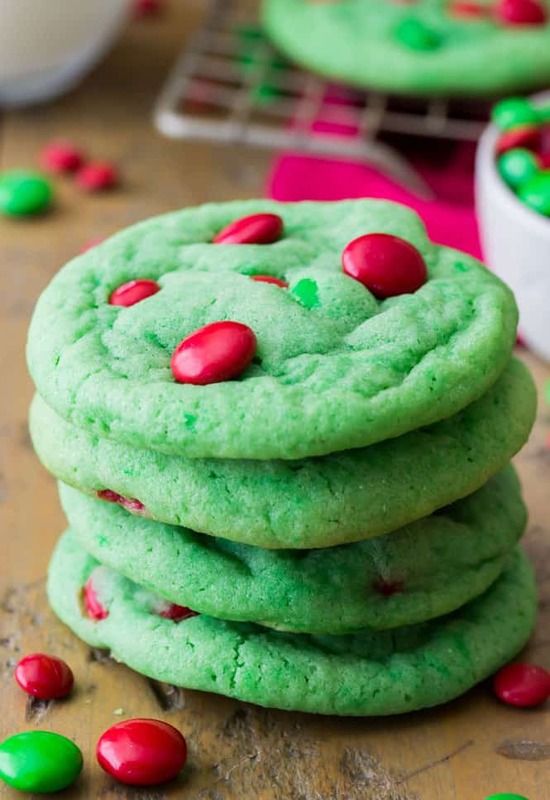 While I used both red and green M&Ms to decorate the cookies, I tried to use more red, they reminded me of the Grinch’s two-sizes-too small red heart. These cookies will need to chill in the refrigerator for at least 30 minutes to keep them from spreading too thin while they bake in the oven. If needed you can chill them overnight or longer, these are great for making ahead, and the dough freezes well, too (just make sure that you scoop it into balls before freezing!). 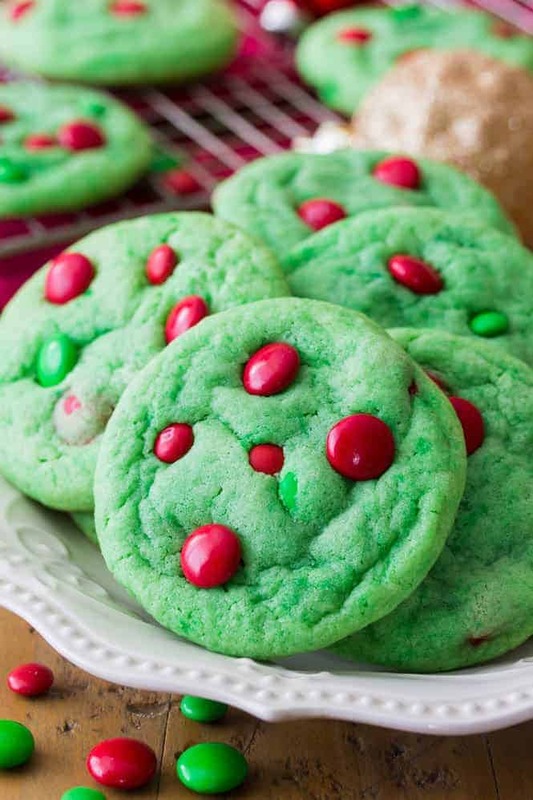 Brightly colored Grinch Cookies for your holiday cookie tray! Combine butter and sugar in a large bowl and use an electric mixer to beat until well-combined and light and fluffy (about 1 minute). Stir in vanilla extract and food coloring, until well-combined. Set mixer to low speed and gradually stir dry ingredients into butter mixture. Add ingredients and stir until well-incorporated. Fold in M&M candies and cover bowl with plastic wrap. Chill in refrigerator for at least 30 minutes. Drop cookie dough by heaping 1½ Tbsp-sized scoops onto prepared cookie sheets, for perfectly round cookies roll dough in your hands into a smooth ball. Bake on 350F for 11-13 minutes. If desired, gently press additional M&Ms into the tops of each cookie for decoration while they are still warm. Allow cookies to cool completely on cookie sheet before removing. *I used Americolor "Leaf Green" gel coloring, I used about 5 drops to get the cookies this shade of green. Loved these! I was a little afraid it would be too much flour, but not the case at all. I baked half the batch the same day I made them and the rest a couple of days later. I also added a cup of chocolate chips. My teens and their friends loved them. Thank you! Thank you for the great recipe ! Can’t wait to bring to my cookie exchange !! I wonder how they would be with just a drop or two of mint extract? Kind of a chocolate mint cookie. Truly, these look so cute and fun. Know the grands will enjoy. May I ask a question? What is the purpose of adding corn starch to the recipe? Don’t think I’ve seen this before. I’m intrigued. Did anyone else’s batter seem crumbly? I think the recipe itself is really fun. I love the color and theme, and can’t wait to share them with friends. However, it’s not my favorite cookie recipe. Next time, I think I’ll just use my favorite chocolate chip recipe and dye the batter and swap the m&ms. Personally, I had a hard time getting the dough to come together. Once I did, it was really not a traditional cookie dough texture. It would have been easier to roll these into a log and make slice and bake cookies. Once I baked them, there was virtually no spreading, so they are just these round little flatish cookie balls. I’m not a total novice baker, so I don’t think it’s a skills problem. I wonder if maybe there was a bit too much flour….the flavor of the cookies is still great. Texture coming right out of the oven was delicious, but they are quite a bit drier when left at room temperature. I was wondering the same thing and this is what I found … Cornstarch not only thicken sauces and mixtures, but it can be used in baked goods such as cookies or cakes, too. It is said that cornstarch used in combination with flour can “soften” the harsh proteins of flour, making a more tender baked good. I can’t wait to make these for Christmas.